One of the more unpleasant and invasive screening tests men have to endure in checking for prostate cancer is the digital rectal exam (DRE). Now, a recent published literature review is questioning whether this relic from the past still carries the same weight as a screening tool for prostate cancer when there is the more accurate prostate specific antigen (PSA) test available. Researchers from Wake Forest Baptist Medical Center reviewed data from the Prostate, Lung, Colorectal, and Ovarian (PLCO) Screening Trial, a nationwide population-based study evaluating cancer screening programs and their impact on cancer mortality. For three years, over 38,000 men from this trial had received DRE exams and PSA tests and then were followed for up to 13 years. Results showed that a total of 5,064 men had a normal PSA test but an abnormal DRE. Only 2 percent of these men had what is known as clinically relevant prostate cancer meaning that it might needed to be monitored or treated. The recommendations from this study came to the conclusion that routine DRE screening may be subjecting a large number of men to invasive, potentially uncomfortable examinations for minimal gain. It is now suggested that doctors should share the risks and benefits of DRE with their patients and to let them decide it they want the DRE test or not. It has been shown in previous studies that PSA does outperform DRE in detecting prostate cancer. This analysis confirms those findings indicating that as an independent screening tool, PSA is superior to DRE. 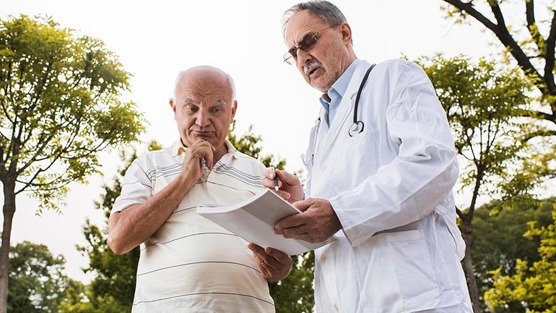 Ever since 2012 when the United States Preventative Services Task Force recommended against routine PSA testing stating it could lead to over-treatment of slow-growing, harmless tumors, there has been confusion and controversy about what screening methods should be used. The panel did not address DRE which has been the main method of detecting prostate cancer prior to PSA test.